After AzhwAr mercifully stated that those who know emperumAn attain him, he was asked ‘it is said that attaining him is very difficult as mentioned in vEdhas “yagyEna dhAnEna thapasA’nAsanEna brAhmaNa vividhishanthi” (brAhmaNas desire to know emperumAn through rituals, donations, penance and fasting). This being the case, could you say that attaining him is simple?’ by those who are following other means to attain him. AzhwAr responds to them through this pAsuram. uzhalvIr – Oh those who are toiling! vIdAkkum peRRi aRiyAdhu – without knowing which (type of) means will grant liberation. AzhwAr feels amazed that people are considering the insentient type of means such as karmayOgam (path of carrying out ordained deeds) for attaining liberation instead of knowing that the supreme being himself is the means. mey varuththikkUdAkki – punishing the body, while carrying out penance, and making it appear like a skeleton. Aren’t they the people who believe as said in “thapasA’nASakEna” (through penance, by fasting)! ninRu – remaining like this for a long time. uNdu – enjoying the benefit of the penance for sometime. koNdu uzhalvIr –Oh those who wander about thinking that by carrying out karmayOgam for some more time, you can attain mOksham! If the text is konRu uzhalvIr the meaning will change as those who wander by killing yourself! aRiyAdhu mey varuththi . . . .uzhalvIr – As mentioned in “vammin pulavIr! Num mey varuththik kai seydhu uymiinO” for carrying out kainkaryam (service to emperumAn), if one should exert oneself through physical efforts it will be a means for uplifting oneself as well as being sweet to carry out as said in SrI bhagavath gIthA 9-2 “susukam karththum”. AzhwAr says that it is foolhardy to starve the body and make it into a skeleton, thinking that it is the means to attain liberation. When told “Alright, we do not know what is the means for liberation. Since you know it, why don’t you mercifully mention it to us”, AzhwAr says…. 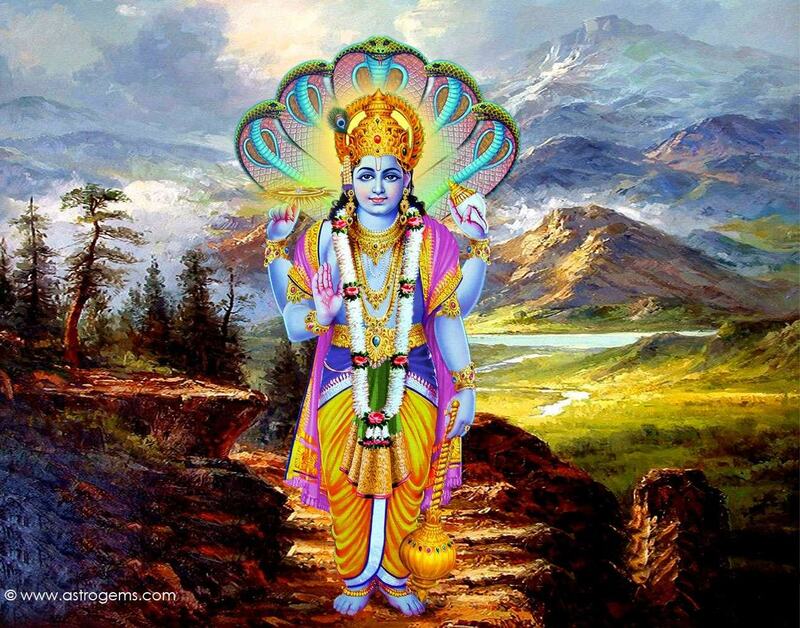 vIdAkkum mey poruLdhAn nArAyaNan – his name will announce that he is the means for liberation. Haven’t you heard of his name! AzhwAr is asking whether they have not heard of the authentic source “nAraSabdhEna jIvAnAm samUha: prOchyathE bhudhai: I gathirAlambanam thasya thEna nArAyaNa; smrutha: II”(the sound [word] nArAyaNa denotes the collection of jIvAthmAs. Since he is the means as well as the end result for those jIvAthmAs, he is called as nArAyaNa). vIdAkkum mey poruLdhAn – even the karmas (deeds carried out as per sacred texts) will bear fruit for those who carry them only if they make nArAyaNa happy. Thus these deeds are not the direct means to attain him. Only nArAyaNa is the direct means who grants the end results. Thus, AzhwAr says, get rid of the thought that these deeds are the means and carry out service to him. “amruthasyaisha sEthu” (he is the bridge for reaching mOksham ). Thus, it is nArAyaNa who is mentioned in vEdhas as the primary means for attaining mOksha. viNNavrakkum naRporuLdhAn – he is the entity who is enjoyed by the nithyasUris in SrIvaikuNtam. vEdha mudhaRporuLdhAn viNNavarkku naRporuLdhAn – vEdhas clearly state, as in SrI vishNu sUktham “thadh vishNO: paramam padham sadhA paSyanthi sUraya: ” (that is SrIvaikuNtam; the nithyasUris keep looking at him constantly); as in purusha sUktham uththara bhAgam (end part) “yO dhEvEbya Athapathi I yO dhEvAnAm purOhitha: ” (one who remains for nithyasUris and one who is the object of attainment from time immemorial…); and as said in subhAlO’panishath “SaraNam gathir nArAyaNa: ” (it is nArAyaNa who is both means and the object of attainment). nArAyaNan – it is nArAyaNa. The implied meaning is that this name shows as to who is the means and object of attainment. We will take up 14th pAsuram next. This entry was posted in iyaRpA, nAnmugan thiruvandhAdhi on June 29, 2018 by T N Krishnan.